Home » Kni-Co Mfg. 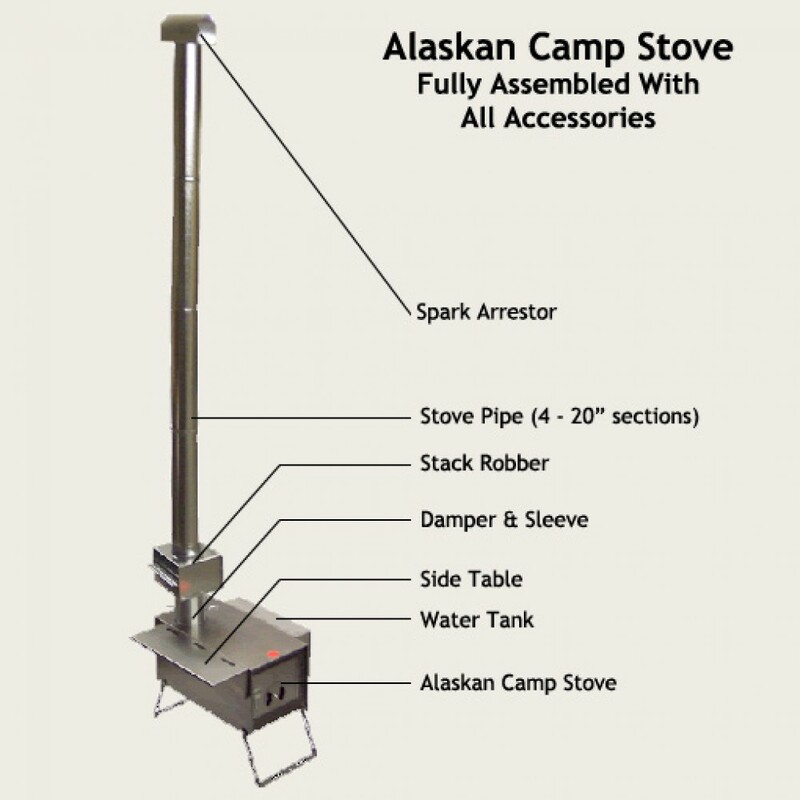 Alaskan Jr. Camp Stove Deluxe Pkg. 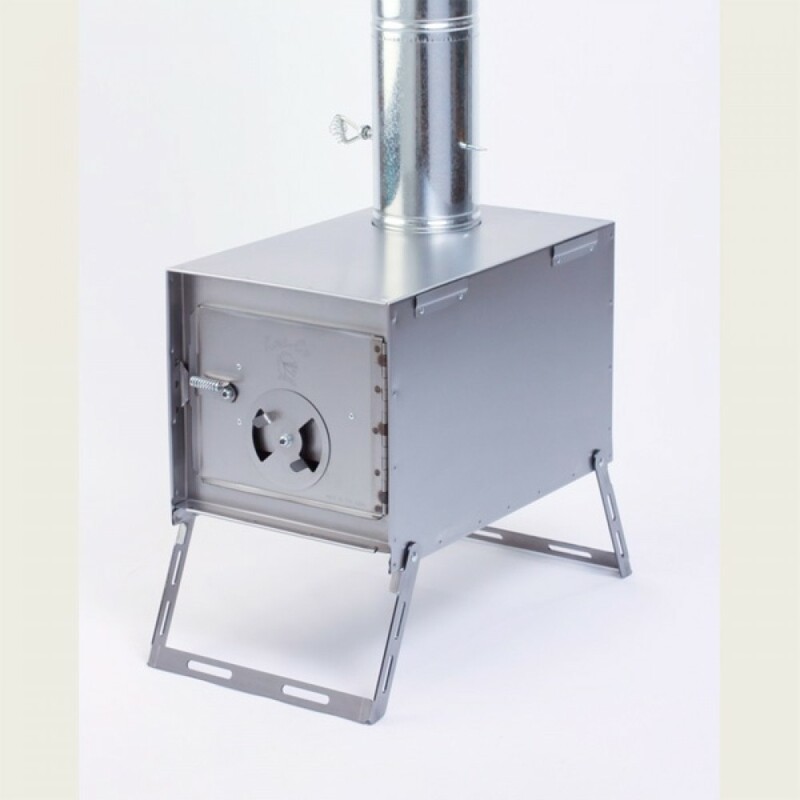 Includes everything needed to stay warm in cold weather; stove, stove pipe, damper, damper sleeve, spark arrester, side table and water tank. You choose your own arrangement or save money with one of our package deals. The tables can sit on top of the water tanks. Most items fit inside the stove for easy packing and storage. 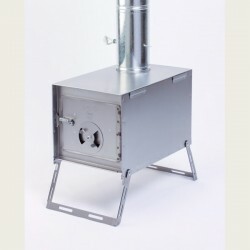 This package includes the stove, stove pipe, damper, damper sleeve, spark arrester, side table and water tank. Fire Box Size: 11 1/2" x 1o 3/4" x 17.25"